After the launch of Samsung Seek with Boost Mobile, Samsung unveiled Samsung Gusto a slim form factor phone. Samsung Gusto is equipped with multiple messaging options, dynamic voice enhancement technology with noise suppression, web/wap browser, bluetooth handsfree, speech recognition for voice commands and many cool features. 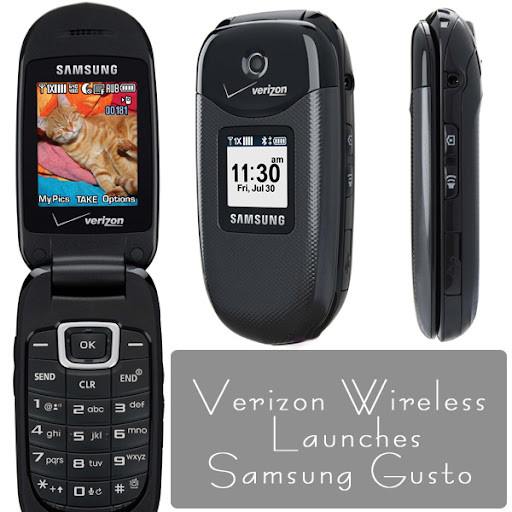 Samsung Gusto is now available with Verizon Wireless. • Dimensions: 3.99" x 1.86" x 0.56"
Samsung Gusto is available in Verizon Wireless Communications Stores for $69 or Free online with a new two-year customer agreement. Did you like the features of Samsung Gusto? A very nice phone with good features. awesome offer, but i always prefer to go for Nokia..